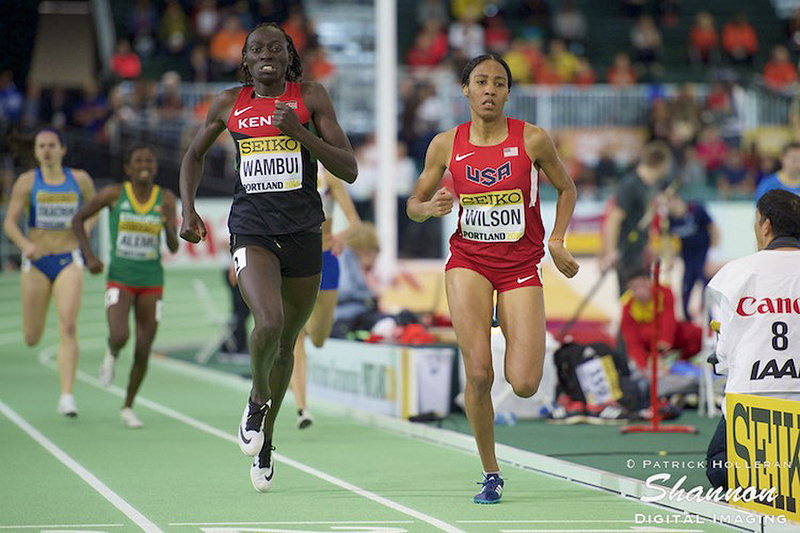 NEW YORK – Ajee’ Wilson and Drew Hunter are among the big names lining up for a pair of high-profile races at the Armory Track Invitational, February 3-4 at The Armory’s New Balance Track and Field Center. 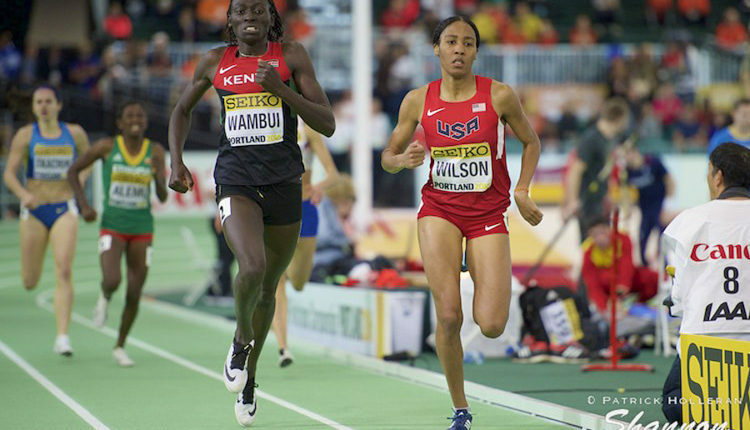 Wilson, the 2016 World Indoor silver medalist in the 800 and an Olympic Games semifinalist, will run the 600 meters. The Neptune, N.J. native ran 1:26.45 to set a world junior record at the 2013 NYRR Millrose Games, which was also the second-fastest time in U.S. history. Scotland’s Lynsey Sharp, who was sixth in the Olympic Games in the 800 meters, is also entered and could be taking aim at the Great Britain record of 1:25.81. Meg Manley, Olicia Williams, Cecilia Barowski, Kimarra McDonald and New York high school stars Samantha Watson (Rush-Henrietta) and Kamryn McIntosh (Suffern) are also entered. Watson is the U-20 World Champion in the 800 meters and McIntosh set the national high school record in the 600 at The Armory in 2015 with 1:28.78. Meanwhile, Hunter, who turned professional after running three sub-four miles as a senior at Loudoun Valley High School in Virginia, will run in a strong field in the 3,000 meters. 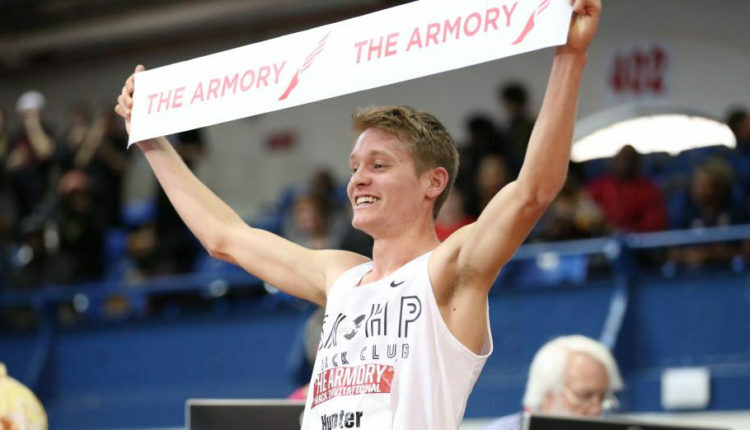 Hunter broke the U.S. high school record in the mile twice at The Armory in 2016, but has indicated that he is ready to run well under eight minutes for 3,000. Last year he ran a high school record 7:59.33. The field includes Mike Brannigan, a 2016 Paralympics gold medalist in the 1,500 meters, who is from East Northport, N.Y.
Brannigan, who was diagnosed with autism at age 3, broke the New York high school record in the 3,200 meters in 2015 when he ran 8:42.92 at the Loucks Games. A good group of post-collegians that includes Nick Tuck, Daniel Winn, Graham Crawford, Will Geoghegan, Travis Mahoney, Morgan McDonald, Morgan Pearsonand Brandon Hudgins rounds out the field. TEAMS ENTERED: Adelphi, Arizona, Arkansas, Army Prep, Bloomfield, Carleton, Cal State LA, Cal State Northridge, Columbia, Cornell, Cheyney, Delaware, Duke, Essex County, Hampton, Maryland, Maryland Eastern Shore, McGill, Morgan State, North Carolina A&T, Ohio State, Oklahoma, Ottawa, San Jose State, South Carolina, Tennessee Tech, Texas, Tulane, Wisconsin, Youngstown. Media requesting credentials need to click on 2017 ATI media credential request formand fill out form. Deadline is Monday, January 30. Go to Armorytrack.com to learn more about the Armory Track Invitational and about ticket information to the February 3-4 meet scheduled for Friday at noon-9 p.m. and Saturday from 9 a.m.-5 p.m. Follow The Armory on Twitter, Facebook and Instagram at @armorynyc or go to ArmoryTrack.com or Armory.NYC.